Hans is an experienced Preclinical Safety expert. He graduated in veterinary medicine in 1978 in Utrecht, the Netherlands. He did his PhD studies at the University of Illinois at Urbana Champaign, department of veterinary pathobiology. He worked as a pathologist and manager for several pharmaceutical companies in Switzerland, United Kingdom and Germany (Ciba-Geigy, Smith Kline & French, ASTA Medica/Degussa, Novartis, Merck, Astra Zeneca). He worked as an independent toxicology and pathology consultant in 2013- 2014. 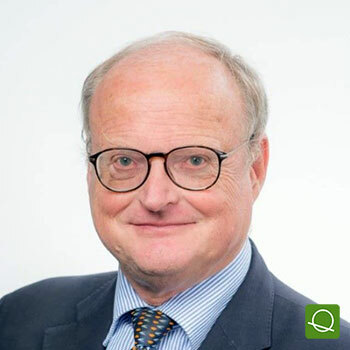 Currently he is Vice President Global Preclinical Development and Management at Fresenius-Kabi in Bad Homburg Germany. In February 2004 he became honorary professor at the Tieraertzliche Hochschule in Hannover. He contributed to many successful registrations of both NBEs, NCEs and chemicals. He has ca 50 publications in peer reviewed journals or contributions to book chapters. Short version: Hans graduated in veterinary medicine in 1978 in Utrecht, the Netherlands. He did his PhD studies at the University of Illinois at Urbana Champaign, department of veterinary pathobiology. He worked as a pathologist and preclinical safety manager for several pharmaceutical companies in Switzerland, United Kingdom and Germany. CASE STUDY: Strategies for assessment of impurities and E&Ls.